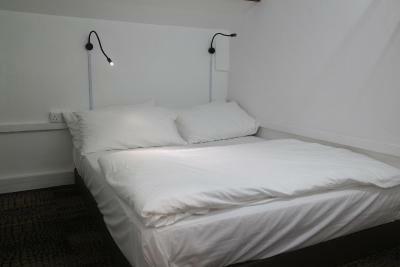 Lock in a great price for Wink Capsule Hostel – rated 8.4 by recent guests! The location and the place is very clean and comfortable. The location was great and very easy for me to get to from the airport! I arrived super late and was able to access everything I needed as instructed once I arrived. The location is the only thing desirable about this hostel. Other than that it is terrible. Friendly staff, comfortable rooms, clean and tidy bathroom, good breakfast area, great location. nice location for the price with a decent breakfast. Location is great, fast wifi connection, easy check in and common area downstairs was nice to hang out. Location at junction of two MRT lines, close to gardens by the bay, Telok Ayer market and Chinatown. Bathrooms mostly tidy. Value. 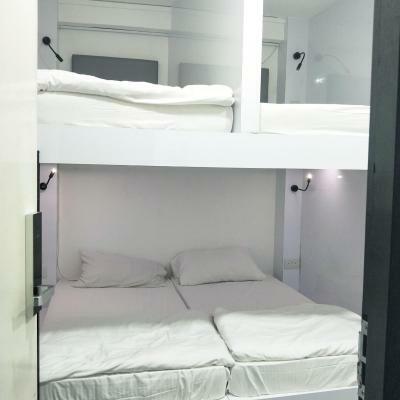 Wink Capsule Hostel This rating is a reflection of how the property compares to the industry standard when it comes to price, facilities and services available. It's based on a self-evaluation by the property. Use this rating to help choose your stay! 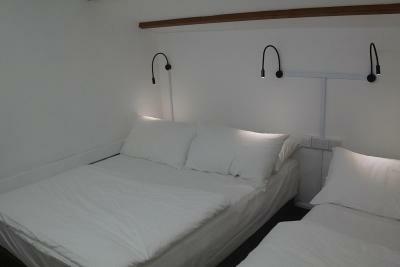 Housed in a heritage shophouse in Chinatown, Wink Hostel offers modern air-conditioned dormitory rooms with free Wi-Fi. A shared kitchenette and laundry room are available. Free internet stations are also provided. 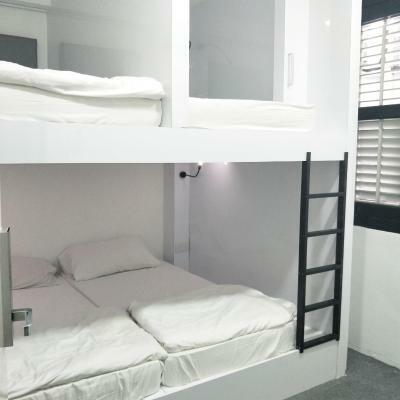 Wink Hostel is a short 3-minute walk from Chinatown MRT Station and a 15-minute walk from popular Clarke Quay area. 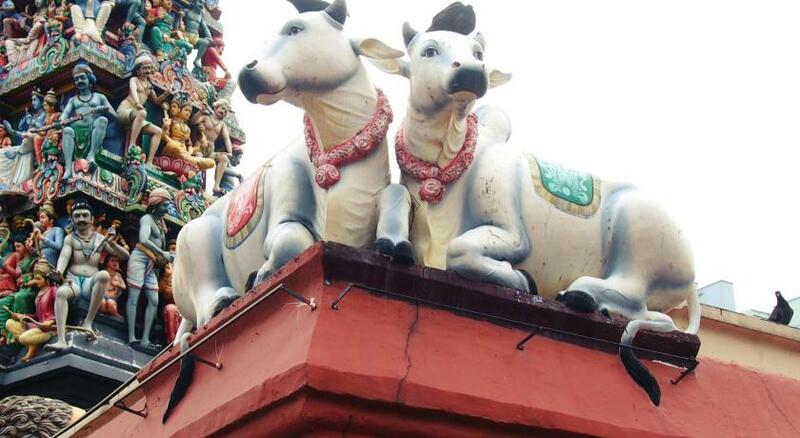 It is 1.6 mi from Bugis Street, 2.5 mi from Little India and a 45-minute drive from Changi Airport. The stylish dormitory rooms feature unique pod beds with sound-resistant walls and private lockers. Guests have access to a shared bathroom and toilet. A free breakfast is served daily at Wink Cafe. Alternatively, guests can prepare their own meals with the hostel's microwave, toaster and grill. 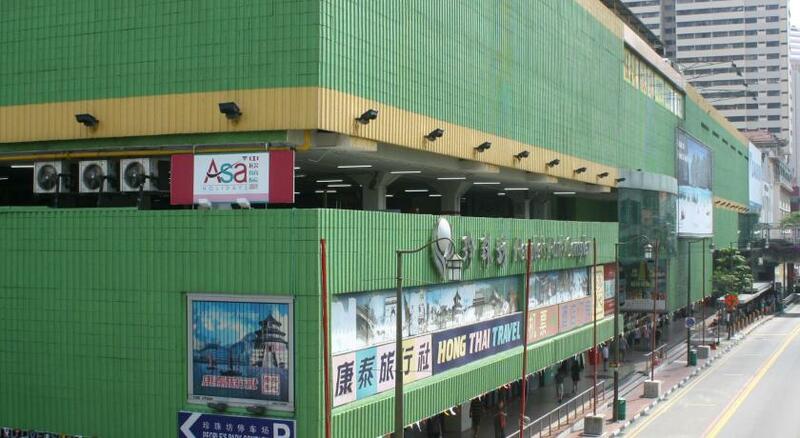 The hostel provides a chargeable airport shuttle, which can be arranged at the front desk. The common lounge area has a flat-screen TV and DVD movie selections. 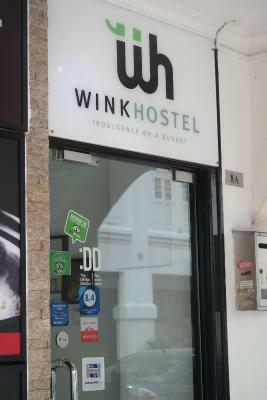 When would you like to stay at Wink Capsule Hostel? Personal pod bed with a personal locker for belongings and enough bed-space to sit up and read. 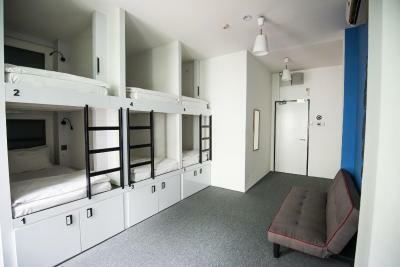 Each air-conditioned mixed dormitory room features 6 to 10 separate pod beds. No over-crowding is ensured. Rate is for 1 single bed only. Each air-conditioned female dormitory room features 7 to 10 separate pod beds. No over-crowding is ensured. Rate is for 1 single bed only. This personal pod bed has a personal locker for personal belongings and enough bed-space to sit up and read. Each air-conditioned dormitory room features 6 separate pod beds. No over-crowding will occur. The room can only accommodate up to a maximum of 6 guests. Additional guests are not available. Features queen-sized pods suitable for couples. 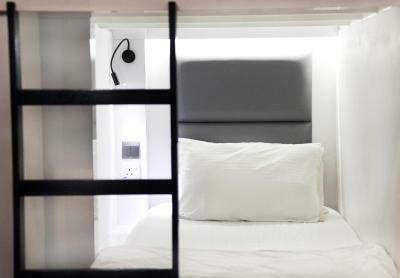 Each double pod comes with a personal locker for personal belongings and enough bed-space to sit up and read. 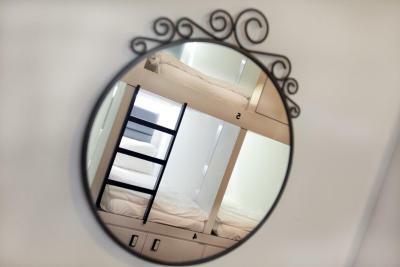 Each air-conditioned dormitory room features 4 separate double pod beds. No over-crowding is ensured. Room can only accommodate up to a maximum of 8 guests. Additional guests are not allowed. Personal pod bed with a personal locker for personal belongings and enough bed-space to sit up and read. Each air-conditioned dormitory room features 7 separate pod beds. No over-crowding is ensured. Room can only accommodate up to a maximum of 7 guests. Additional guests are not allowed. Each air-conditioned dormitory room features 8 separate pod beds. No over-crowding is ensured. Each air-conditioned dormitory room features 10 separate pod beds. No over-crowding is ensured. Room can only accommodate up to a maximum of 10 guests. Additional guests are not allowed. This quadruple room has air conditioning, seating area and flat-screen TV. House Rules Wink Capsule Hostel takes special requests – add in the next step! 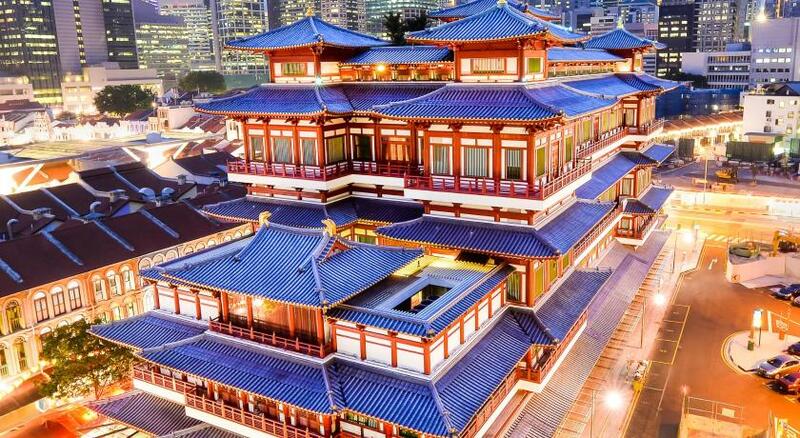 A SGD20 damage deposit is required on arrival (around USD14.74). This deposit will be fully refunded 7 days after check-out, as long as there isn't any damage to the property. This capsule hotel does not accommodate children. Wink Capsule Hostel accepts these cards and reserves the right to temporarily hold an amount prior to arrival. Please note that the property does not accommodate children below 4 years of age. Children between 4 to 18 years of age are required to be accompanied by an adult. Reception is open from 7am to 11pm daily. Please inform Wink Capsule Hostel of your expected arrival time in advance. You can use the Special Requests box when booking, or contact the property directly using the contact details in your confirmation. A damage deposit of SGD 20 is required on arrival. That's about 14.74USD. This will be collected by credit card. You should be reimbursed within 7 days of check-out. Your deposit will be refunded in full by credit card, subject to an inspection of the property. As been told, I already mentioned to have the lower bed section. The staff show an efforts to provide me the needful! kudos! great service! The property should be closed for the extent of building work currently being done inside. They were smashing up the reception desk, painting a room next door to us at 8am, the men’s bathroom was shut so everyone had to share the small and incredibly hot ladies bathroom. Work men were on ladders next to the ladies showers while we were using them. The aircon pipe in our double room dripped all over the room and made it smell damp and the walls are so thin we could hear our neighbours snore, speak, etc etc. On the breakfast 90 % of the dishes, cutleries we from plastic or paper. When I imagine how much waste we are producing by this its very sad! I hope you can make a change. This place has a great location. Very helpfull staff. The breakfast were the regular hostel one bread cereals and some apples and oranges. They had mainatanace happening at the time of my stay. The whole place smelled of paint there workers constantly working, one bathroom for man and woman and no locks on the door... The most basic breakfast ever toast and jam. The hostel was clean. Excellent location, just 2 mins away from bus stop and 5 mins from metro station. Free breaky was a plus. the locker door is broken AC room not too cold and AC noisy. The bathroom is outside the room. I really couldn't fault Wink Capsule Hostel. They are doing renovations at the moment but they weren't an inconvenience at all.. Hair dryer in the ladies only blows in cool air. Here for four nights. Friendly staff to accomodate and assist me. Great location and everyone in the female capsule dorm was respectful and quiets down around 11pm. Big personal locker is available for your use in room. No problem with the toilets and showers at all. Hot water is always available. However they’re having renovation during my stay, a lil inconveniences caused but otherwise all good. New guests should expect better toilet facilities in future! Breakfast included wasnt too bad with 3 kinds of cereals and 2 kinds of breads available with choices of spread! Drinks such as milk, milo, nescafe and tea is provided. Fruits also available. And i guess kitchenette allows light cooking too. - the bathroom was always very hot. - maybe not the most social?? But you are in Singapore! You’ll be too busy hopping around the city for that anyway! The bathroom can get super hot and humid, it was hard to breathe. There was a nail polish stain on my blanket but everyday I got home super late and just want to pass out so I didn't let the staff know. I don't think they changed it otherwise the would of noticed it.